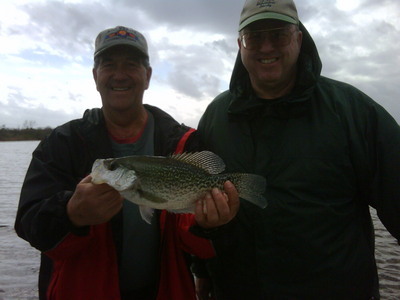 On Sunday Mike Baker of The Crappie Fisherman Guide Service took John Ostdiek from Jordan Mn. and Mike Arone from The Villages Fl. 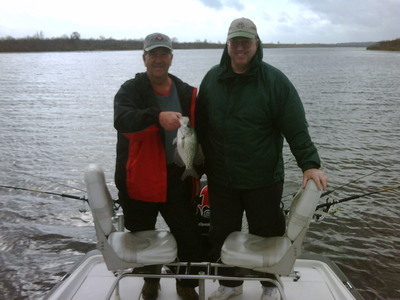 on a 1/2 day fishing trip on the Ocklawaha river off of Lake Griffin. We long line trolled using Culprit Crappie Baits in all sizes shapes and colors on Vicious Hi Vis Panfish line on double rigs, it seemed that it did not matter what bait we used the fish bit steady all morning long catching many doubles on the double rigs and had at times fish on all six rods we were using at one time.